The UNDP secured additional US$ 6 million from USAID to support the Emergency Crisis Response Project (ECRP) that aims to mitigate the impact of the current crisis on local households and communities and assist their recovery from the bottom-up using local systems, capacities and institutions to progressively resume and scale-up service delivery. In this respect, a project document was signed on Sunday, 26 November 2016 by UNDP Country Director and the Managing Director of the Social Fund for Development to cover the period of two years. The project objective is to achieve specific results in: 1) Increasing sustainable employment and livelihoods opportunities, including health and education; 2) Reviving the agricultural sector through support to key value chains. As such, the project contributes to the livelihood recovery and service delivery restoration components of UNDP’s Yemen Resilience Programme. 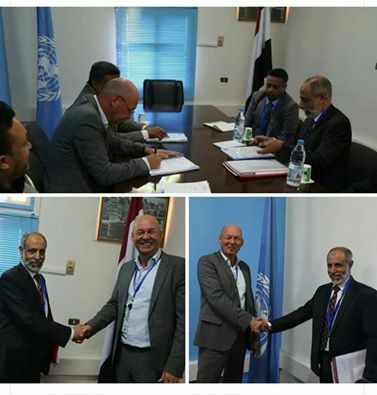 The Project’s Theory of Change assumes that if income generation and livelihoods opportunities are increased for youth and women (including IDPs), Yemeni households and communities will be able to better cope with the impact of the current crisis and be strong drivers of the resilience building and recovery efforts. The SFD continuity of operation using sustainable mechanisms, its administrative and technical capacities and its accessibility to many war-affected areas have encouraged key donors to provide funding resources to the country through the United Nations.